Feeling in the mode for some Kirby-esque women. Time for Big Barda! 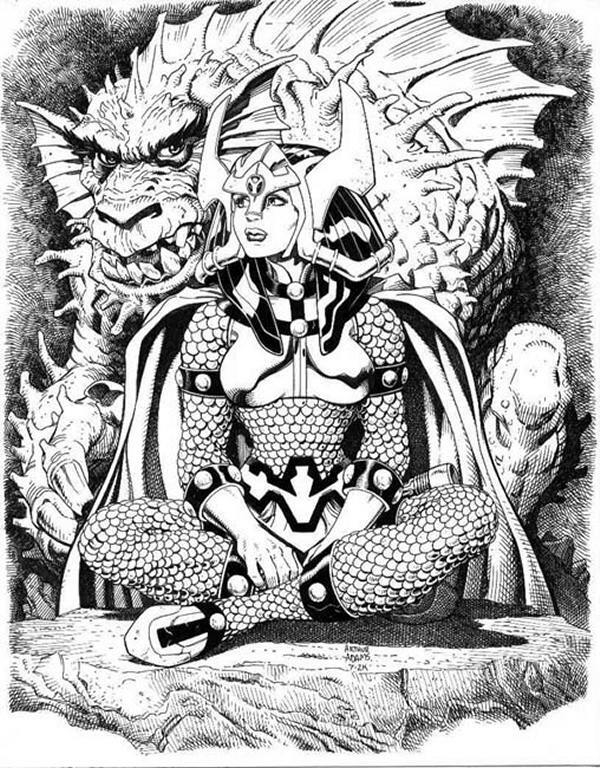 Art Adams is the perfect guy to execute this drawing. Doesn't it look like she's meditating and a dragon comes along to disturb her? I just hate it when that happens. Nuff said.